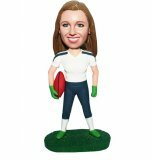 Wearing a white karate uniform with the bright yellow belt, this customized male karate bobbledoll is make a bow with hands folded in front. This karate bobblehead is ready with his action, showing his good work of martial arts. 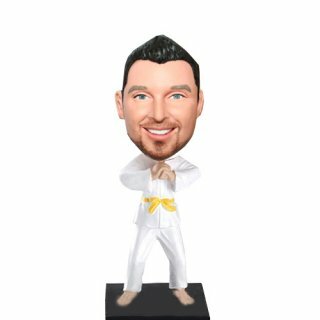 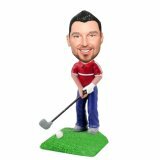 If you know someone is a karate fever and his birthday is coming, this customized bobblehead is the best choice as a gift.